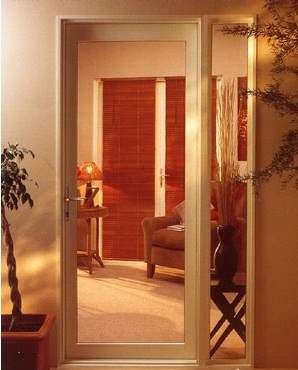 Aluminium entry doors are another way to enjoy garden outlooks and let maximum light into your rooms. Secure, elegant and low maintenance, they offer a decorative and practical solution for many different situations. Full height side lights can also be incorporated for even more light. Heavy duty hinges ensure safe, secure closing and a wide profile sill easily accommodates a flyscreen or security door.